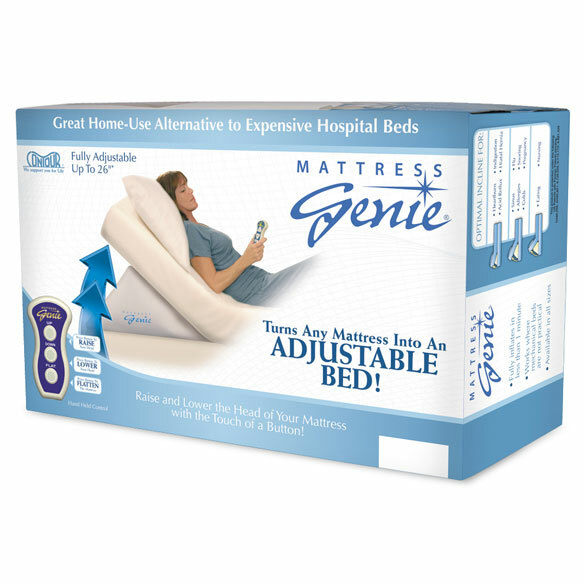 Like magic, Mattress Genie® transforms your bed into a completely adjustable bed. 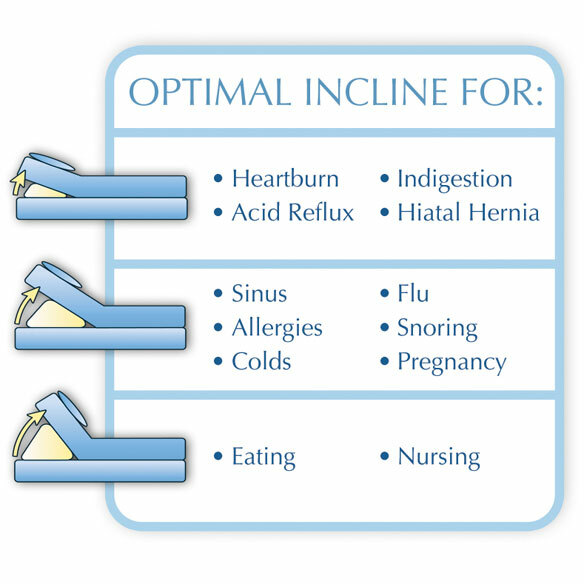 Just push a button on the illuminated remote to raise or lower head and shoulders for reading or watching TV; ease heartburn, indigestion, allergies or snoring. 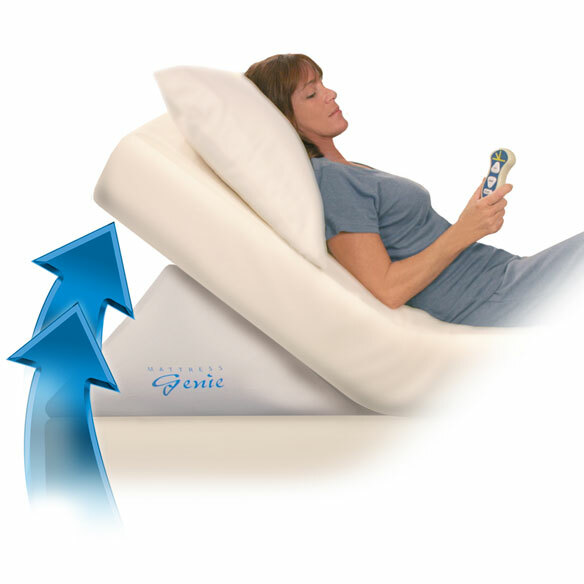 Maintenance-free bed lift uses electricity to push air into the chamber, which is thick and durable, with double-welded seams to prevent air from escaping. 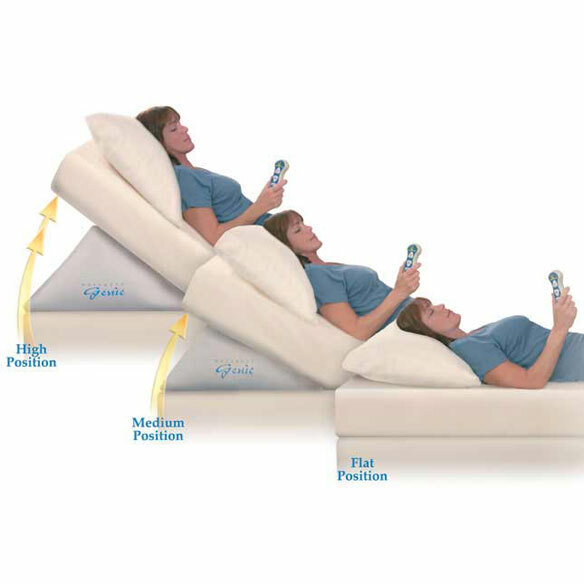 Adjustable bed riser works with all types of mattresses and futons up to 18" thick. Holds up to 1,000 pounds. 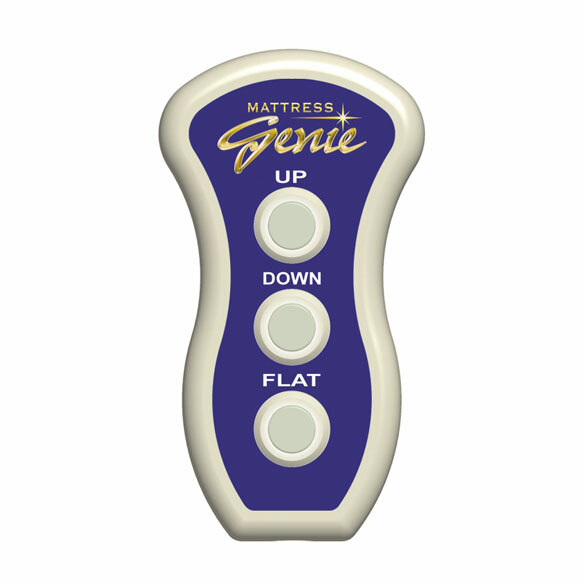 Will this work with a sleep number bed? BEST ANSWER: Thank you for your question. It might fit a sleep number bed but if the mattress is thicker then 18" then it will not fit it. We hope this information will be of help to you.